Incorporated in 2004, the founder of Waterchem has 20 years of experience with all types of water & wastewater treatment, in particular industrial wastewater, which makes us the most reliable partner for all your water needs. Our team takes time to thoroughly understand the customers’ needs and aim to help clients solve water and waste water challenges at affordable cost, using our innovative and efficient water treatment methods. Waterchem's mission is to deliver sustainable water treatment solutions for industrial, municipal water and wastewater treatment. 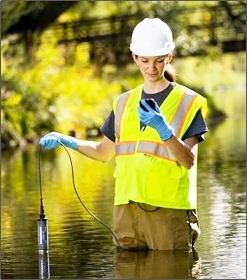 Our extensive knowledge and resources in water and wastewater. Welcome to Waterchem Envirotech Pte. Ltd.
We offer tailor made comprehensive solutions from concept to operation, minimizing the use of energy and maximizing the efficiency of the operation for all types of water & wastewater. A service-oriented culture means doing all we can to delight our customers using our experience and expertise to provide them with the highest quality service at all times. WE aim to develop long-term relationships with our customers by providing highly innovative, quality and personalized service to suit our client's exact requirements and budget. Waterchem uses high-quality, cost-effective and user-friendly products. WE acquire our products from trusted suppliers that have industry-wide standards, and addresses both customers’ business and technology demand. Waterchem is an environmental engineering company that designs, build, install and commission water and waste water treatment systems. WE perform upgrading on plants that needs to improve on effluent quality and at the same time reduce operation cost.